This locomotive was built by Arnold Jung of Jungenthal bei Kirchen a/d Sieg, Germany (Works No. 939) in 1906. 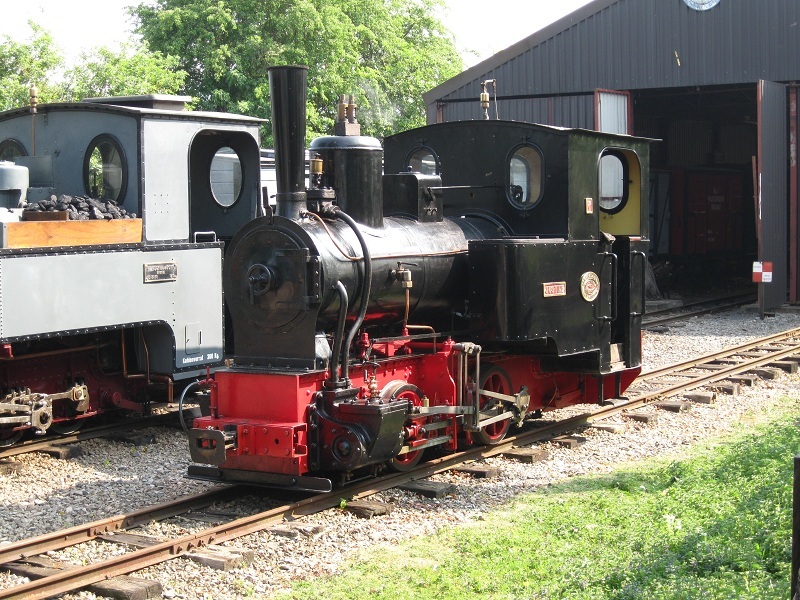 JUSTINE is a typical 0-4-0 well tank with the water tank between the frames and has Allan Straight Link valve gear. Many thousands were built for industry and contractors. She spent her working life at a gravel washery at Maeseyck on the banks of the river Maas in Belgium in the ownership of Gerard Smeets and was named after one of his daughters. JUSTINE was purchased by a group of members from a Belgium dealer in 1974. In 1995 JUSTINE briefly returned to Belgium and worked on a preserved railway there and later in 2008 worked all the “Santa Specials” on the Lynton & Barnstaple Railway. 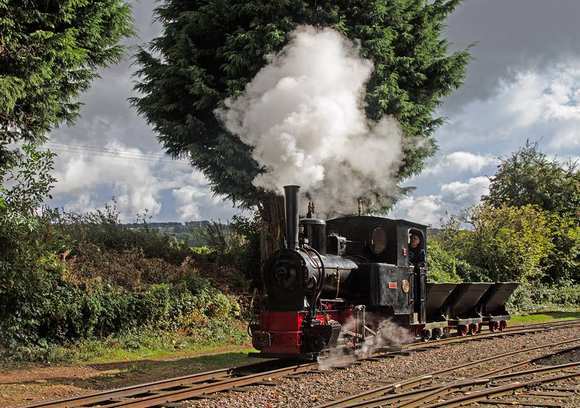 Two visits have also been made to the Leighton Buzzard Light Railway plus a visit to an open day at the Alan Keef Ltd’s works near Ross-on-Wye. Winter 2016: JUSTINE's 10 year overhaul has begun.